RFC ในงานเทศกาลการท่องเที่ยวใหญ่ที่สุดในประเทศมาเลเซียRFC IN MALAYSIA’S BIGGEST TOURISM FESTIVAL2012! 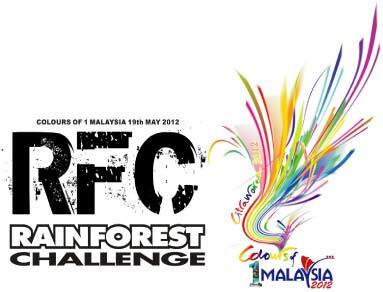 RFC ในงานเทศกาลการท่องเที่ยวใหญ่ที่สุดในประเทศมาเลเซียRFC IN MALAYSIA’S BIGGEST TOURISM FESTIVAL 2012! 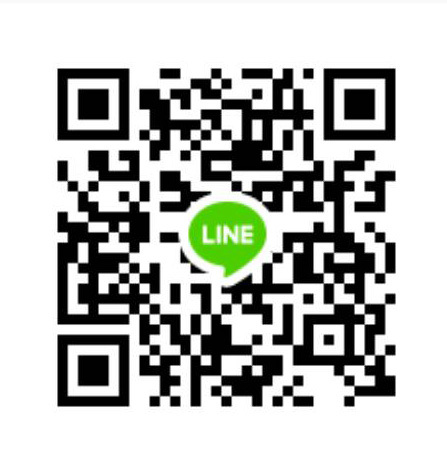 การแสดงทุกอย่างได้จบลงปิดท้ายด้วยการยิงพลุแบบจัดงานเทศกาลทั้งหลาย สำหรับRFC , มันเป็นการกระตุ้นเตือนการฉลองการครบรอบปีที่ 15 ที่กำลังจะมาถึงในวันที่ 1-10 ธันวาคม นี้ ที่ซึ่งวงการรถยนต์ออฟโรด 4x4 จะมาเจอกันจากยุโรป เอเซีย อัฟริกา โอเชี่ยนเนีย อเมริกาเหนือและอเมริกาใต้! The Colours of 1Malaysia (Citrawarna) 2012, organized by the Ministry of Tourism held recently was the biggest tourism festival of its kind in Malaysia. This iconic premier event is a cornucopia of spectacular traditional performances, colourful parades and songs promoting the various tourism activities of the country, was first organized in 1998. The big bang extravaganza included lively marching bands, dances and floats all carefully choreographed for a night of show-time of what Malaysia has to offer our foreign tourists. This year, with 7,000 participants from 11 segments of the tourism industry, it was the biggest ever mounted which included home-stays, nature, heritage, eco-tourism, fabulous food and sports tourism. It’s in this sports tourism segment that the Rainforest Challenge (RFC), the world’s most internationally represented event, was included for the first time representing the 4x4 industry. This inclusion is a timely recognition of the 4x4 sports/adventure contribution to the country’s tourism revenue, and the RFC is at the forefront of such 4x4 promotion. The RFC global series, on the other hand, is an off-shoot from the mother event, in which we also promote the respective countries in which the RFC events are held to our worldwide off-road 4x4 fraternities. With flags flying and lights shining bright, our 9 four-wheel drives with 18 adventurers made a grand entry, which was one of the highlights of our segment. Our march pass by our adventurers, waving and smiling at the VIP stand with our four-wheel drives driven with precision was greeted with cheers and applauses from thousands of spectators, estimated at 100,000, which included foreign media and travel agents from 28 countries. Apart from putting up a good show, the RFC also sent a message to the multitude gathered for the night that 4x4 activities all over the world are more than mere recreation and revenue earner, our hardware and human software are also useful national assets to the country in times of natural calamities. When normal roads become impassable off-road (by flooding, earthquakes nd landslides), the 4x4s are also useful for search, rescue and relief. Such national assets should be nurtured, thus, off-road activities/events should be supported by the authorities for our off-roaders to hone up their skills. The others in our segment were F1, Moto GP, racket games and ladies bikers, while the rest of the enthusiastic participants from small to big entities, from school children to adults, from trishaws, taxis, tour buses to KLIA airport show, all of them making an impression that Malaysia is serious about promoting its tourism to the world. Such assortment of tourist products, nature, historical heritage, culture and uniqueness of Malaysians are one of the reasons for the draw of 24.6 million tourist arrivals last year, the highest ever in the history of the country’s tourism industry, said the Right Honourable Datuk Seri Dr Ng Yen Yen, the Minister of Tourism at her opening speech. And, of course, not forgetting Colours of 1Malaysia event, which is, in itself, a tourist product extraordinaire. The finale fireworks and entertainment ended this iconic tourism festival in style. For the RFC, it was also a fitting reminder of our 15th anniversary edition coming this 1-10 December, where the world of 4x4 will be converging from Europe to Asia, Africa to Oceania and North to South America. นี่คือสีสันต์ RFC ในงานเทศกาลการท่องเที่ยวใหญ่ที่สุดในประเทศมาเลเซียRFC IN MALAYSIA’S BIGGEST TOURISM FESTIVAL ก่อนการแข่งขันครบรอบ 15 ปีRFCอย่างยิ่งใหญ่ระหว่างวันที่ 1-10 ธันวาคม 2012!